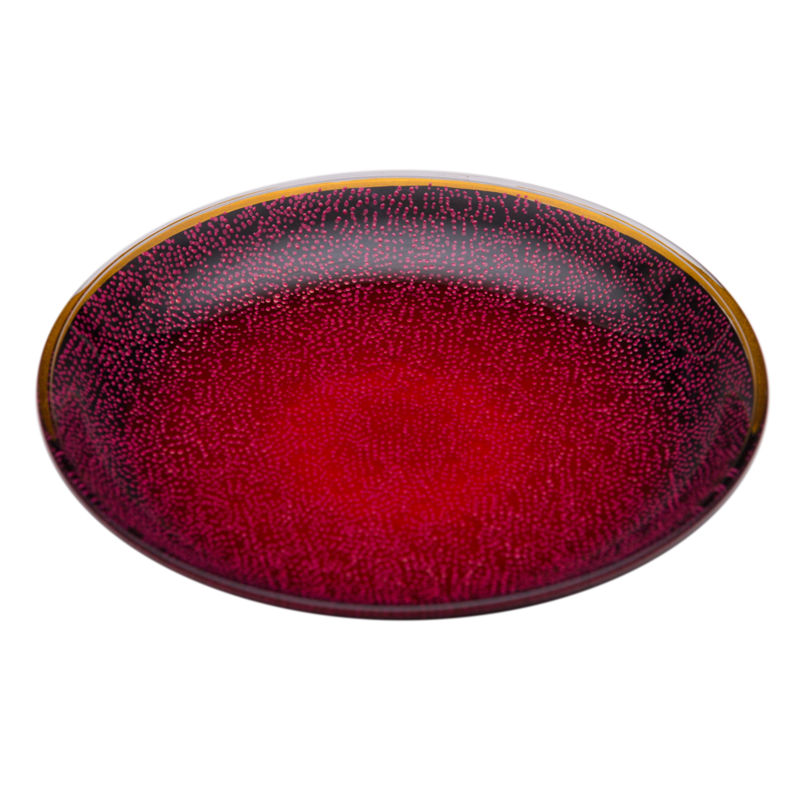 Bold gradations compliment the intricately hand-painted pattern of traditional Japanese plum blossoms on both sides of this glass plate. The elegant and enchanting design exhibits a different appearance depending on the angle it is viewed at. This flagship item is sure to stimulate both your sense of sight and sense of touch.